If you don’t take a few extra minutes at every house you’re selling or renting to consider what the first impression of a prospective buyer or tenant, you’re leaving money on the table. Nate Armstrong tells us more in this FlipNerd.com Flip Tip. Mike: Hey, it’s Mike Hambright from FlipNerd.com, and we have a quick V.I.P. 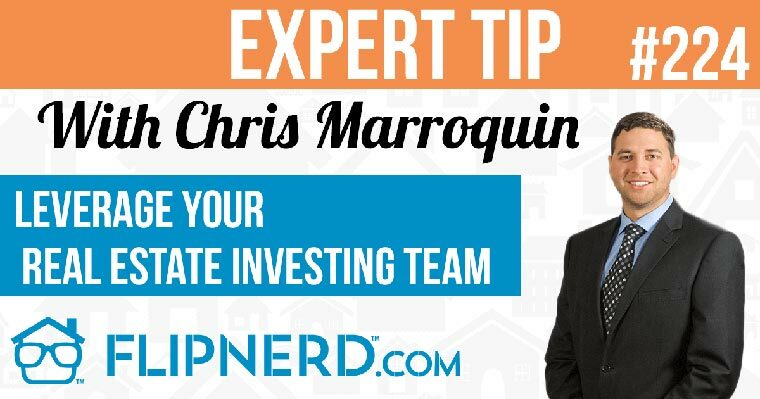 tip to share with you from Nate Armstrong of Calhoun Ventures, who’s going to share a tip on the importance of curb appeal and why the first 60 seconds is critical. Nate: So here’s the tip. So the first 60 seconds of a buyer or renter’s impression of a property, make or break the thing. So specifically, when they pull up to the house with a realtor or leasing agent, they’re saying to themselves would I be proud to live here? Could I take my girlfriend, my boyfriend, my mom, my dad, whoever it is to this property? And so when they get out of the car, that carries on not only from the grass being cut to the front door being painted, and the house being painted, but that carries on till they open that front door. That entire 60 seconds when they’re getting that first impression of the house can make or break it. I just had a house down in Saint Louis, Missouri that the feedback showing on it said, buyers wouldn’t get out of the car because the grass was six inches, so we left, and I read that and I’m like holy cow. Like now that they didn’t even see the granite countertop that I installed. Nate: That could make or break a house. So the tip of the day here, is just the first 60 seconds you really got to make your impression on the buyers. So have the lawn mowed, have the mailbox painted, have the front door painted really nice. Make it nice and clean. Announcer: Thank you for joining us on another Flip Nerd, flip tip.